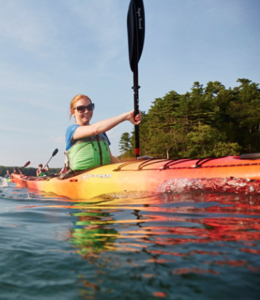 Through a partnership with L.L.Bean’s Outdoor Discovery School, New Rochelle is once again able to offer a terrific kayak or paddleboard experience at Five Islands Park. It’s a great way to explore Long Island Sound and to view New Rochelle from a whole new perspective. 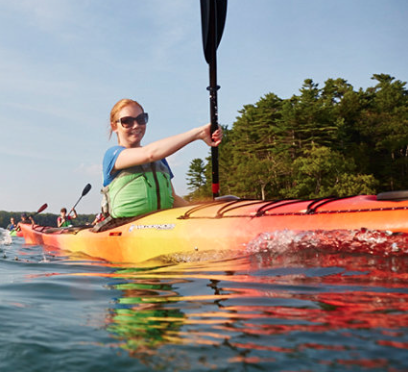 “Exploring nature in a kayak is a healthy and fun way to enjoy the outdoors. Our course begins with a brief introduction and safety talk from our friendly paddling instructors, who will share their knowledge gained from years of kayaking. They’ll outfit you with a personal flotation device (PFD), kayak and paddling equipment, giving you insight on the best ways to set up your boat. Then, you’ll receive instruction on a variety of paddling techniques. This is a great course for all levels of fitness.